As parents and child care service providers well know, leaving your children in care and heading off to work can, at times, be heart-wrenching. But technology is helping to bridge the gap, keeping children and their families connected even when they’re apart. The Child Care Management System or CCMS has played an important role in helping to shape the new era of child care in Australia. Far from being just another computer program, the CCMS links in with specialist third-party software to provide an interactive virtual connection to the child care experience. The CCMS is designed to administer child care subsidies from the federal government and operates as part of an online, nationwide framework. All approved child care services are required to operate through the CCMS. However, just as there is a range of different accounting software programs for your business needs, there are a number of approved CCMS software providers. This specialist child care software is registered with CCMS to record child enrolment and attendance information. Programs like Xplor go beyond this, providing documentation of children’s’ daily activities, detailed medical records, and benefits like real-time communication between centres and parents. Each child care service has its own CCMS administrator, who is required to upload these records to the CCMS via the internet. The information is also used to help the Department of Education and Training to calculate the Child Care Benefit (CCB) fee to be paid to the service on behalf of eligible families. The federal government offers a series of fact sheets for child care operators new to the CCMS. However, what is most important to know is that help is at hand. The CCMS administrator is required to be aware of relevant legislation under Commonwealth Family Assistance Law, including appropriate record keeping regarding attendance at child care, along with fee discounting and subsidies for families. But much of this information is available in the Child Care Service Handbook which is useful as a reference tool when working through the CCMS application. The handbook offers guidelines to all Child Care Benefit (CCB) approved child care services using CCMS. Divided into two parts, the handbook first outlines the federal government’s policy framework and rules for claiming Child Care Support. The second section of the handbook focuses on managing child care subsidies and rebates. It is well worth familiarising yourself with the rules and regulations set out in the guidebook before embarking on your CCMS application. The CCMS Helpdesk is also available on 1300 667 276 or via email at CCMSHelpdesk@education.gov.au to approved Child Care Benefit service providers. The CCMS registration process for child care centre operators. 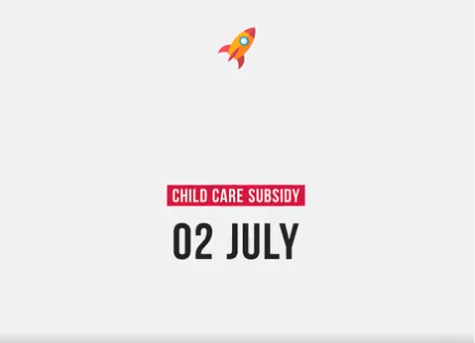 From July 2, 2018, the Child Care Subsidy (CCS) will replace the Child Care Benefit and Child Care rebate. Xplor are offering a free CCS planner to help you stay on track and meet the government requirements. This means that new child care providers seeking CCS approval must first register with the CCMS in order to be able to claim subsidy payments. As of April 2018, child care operators will be able to lodge an online submission via an internet portal, to become accredited for CCS approval. The government portal is known as the Provider Access Point and can be used to communicate with the Department of Education and Training about CCMS applications, and submit any additional information deemed necessary to further an application. Applications will be assessed in line with eligibility requirements. The Family Assistance Law does not define a timeframe in which the department must make an approval decision and there is also no guarantee that an application will be approved. Given that many families make use of childcare rebates to cover the cost of childcare, it is worth operators taking the time to register sooner, rather than later, for the CCMS. Technology is everywhere in our everyday lives. But using the right technology, in the right way, can often be a struggle for the uninitiated. Too often, paperwork gets in the way of the most important work of educators and child care operators – teaching and caring for our children. As the future of tomorrow, children need all the quality care that we can offer today. Which is where Xplor comes into play. Xplor’s new generation of technology in the childcare sector has revitalised the way educators and operators deliver childcare services, offering significant savings of both time and operational costs. Xplor can help keep busy families connected to your childcare centre, wherever they are, and whatever they’re doing. Likewise, the revolutionary software can take the pressure off CCMS administrators, giving early childhood educators more time to focus on implementing and improving long day care, family day care, preschool or kindergarten and outside schools hours care services, as per the National Quality Framework for Early Childhood Education and Care. Xplor can help with all of your CCMS questions. Get support by phone, email, chat or make a workshop appointment with Xplor, today. The New Child Care Management System As parents and child care service providers well know, leaving your children in care and heading off to work can, at times, be heart-wrenching. But technology is helping to bridge the gap, keeping children and their families connected even when they’re apart.